. . . My Gift to You! I saw a quote earlier this week that made me chuckle, I believe it is the key to prosperity in our business and in our lives: “Nothing works, unless you do” (Maya Angelou). I love it, and it’s true. So it’s time to roll up our sleeves and put forth our best effort to realize our dreams and achieve our business goals. Last year I published my first book – 52 Killer Marketing Tips – and I want to share it with you again from my new company Sandy Hibbard Creative, Inc. I am not sharing one tip, I am giving you an arsenal of marketing secrets and making 52 KILLER Marketing Tips available as a downloadable PDF ebook exclusively to my network. When I launched my Marketing Tips weekly blog, I did it with the purpose of developing powerful yet simple marketing tips that I could share with my followers weekly. This book is the culmination of that project. The eBook format works as a marketing “guide” that you can use all year to keep your mind on your marketing. This is my gift, my way of saying thank you for being a part of this mission with me to create REAL, FUN, and EFFECTIVE marketing that speaks to your audience. 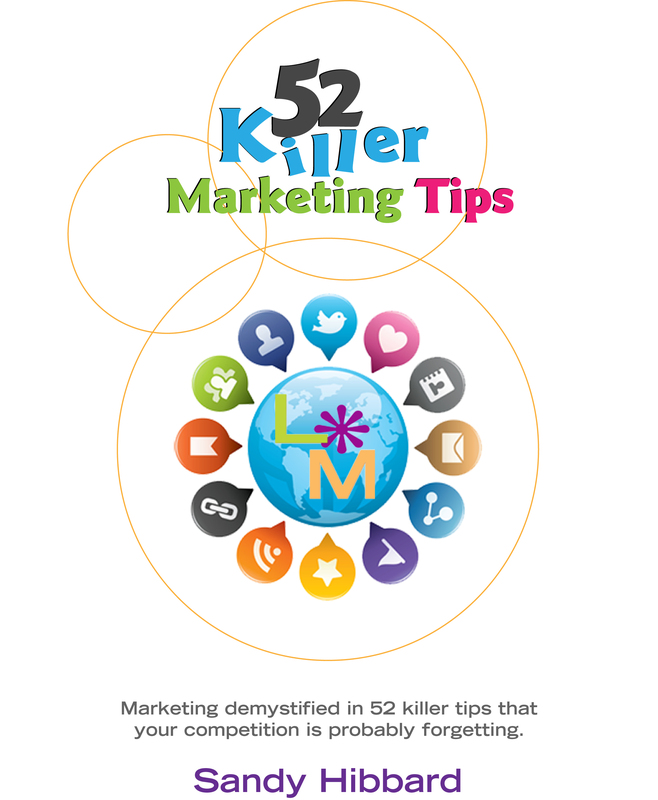 52 KILLER Marketing Tips is available for you as a FREE download in a printable PDF format, get it here. If you prefer a touchable book, you can purchase a copy of the soft cover book from Amazon.com. Thanks so much for engaging with me throughout this project!